Effective cable management solutions are often overlooked in any office setting, especially when people are more interested in designer ergonomic chairs or fancy height adjustable desks. It’s important, however, to realise just how beneficial cable management is to your office. There are many cable management solutions that work harmoniously hand-in-hand, one of them being the trusty CPU Holder. 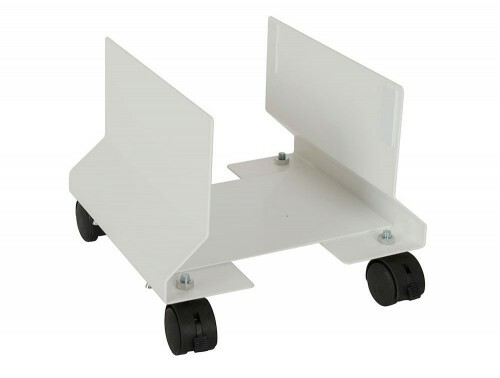 A CPU Holder allows you to place your CPU underneath your desk where it is out of the way, maximising your work space surface as much as possible. Not only do CPU Holders help to save space, they also ensure that your CPU is off the floor, which can obstruct your leg room. 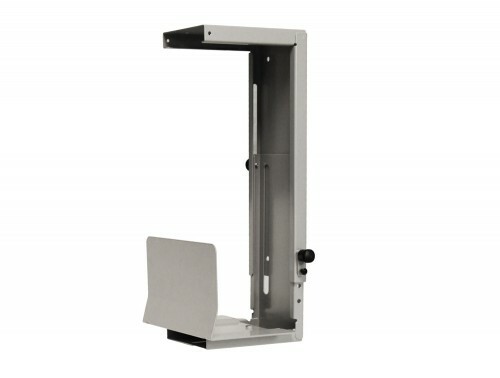 Easily screwed to the underside of your desk top, your CPU Holder will help to regulate airflow away from dirt and dust. CPU Holders were designed to help with office ergonomics. 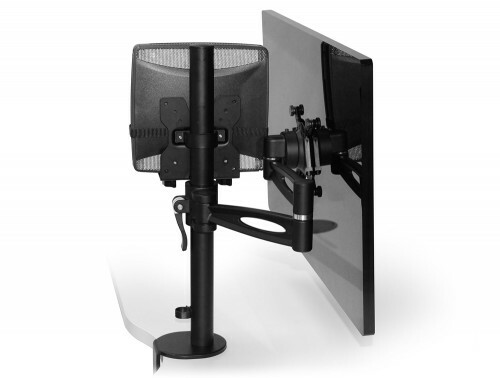 Available in a wide range of shapes and sizes, some CPU Holders also have a swivel function which allows you to be able to swivel the holder a full 360 degrees. This prevents you from having to turn your heavy CPU around and trying to organise your messy cables. 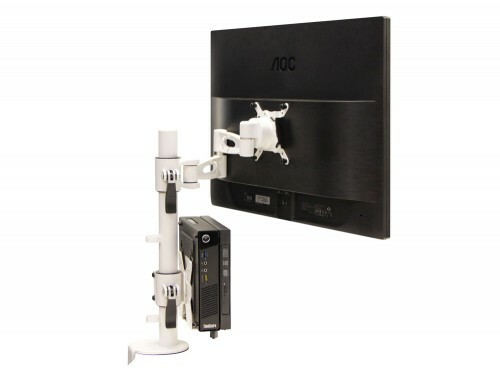 The swivel function means that you can adjust your cables without even having to leave your chair! There are many reasons as to why ‘cable managing’ your office is the right way forward. Not only does it look neat, but it saves time and money, too. 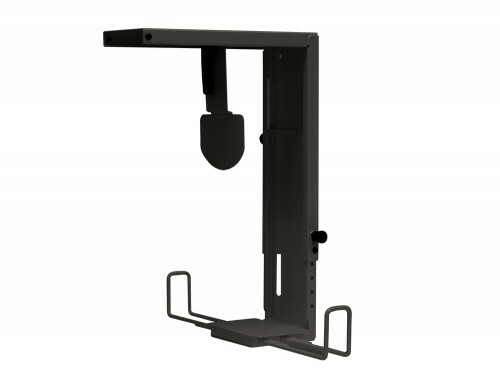 CPU Holders allow you to identify and track cables easily, while maintaining the freedom to easily remove or change cables whenever necessary. 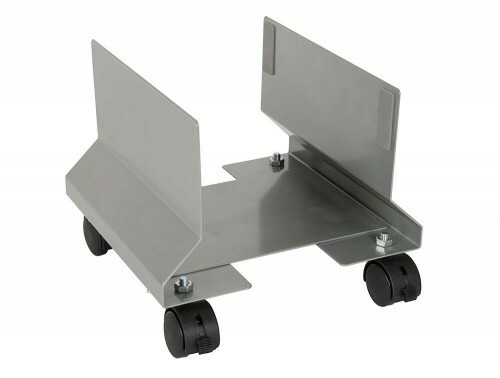 We offer a wide range of products in stock for next day delivery. Want something more specific? Choose from a variety of different selections as well as custom made items where you can choose the style, colour and finish unique to your needs. We offer a professional installation service which includes delivery, package removal, complete installation and product guidance for your convenience. We love projects! Contact us and we’ll help you from designing your space to full office fit-out. If you can’t quite find what you’re looking for on our site, give us a call and we’ll be happy to source whatever item you require. There are many benefits to implementing great cable management solutions in your office. Firstly, and some would say most importantly, it saves you time and money. 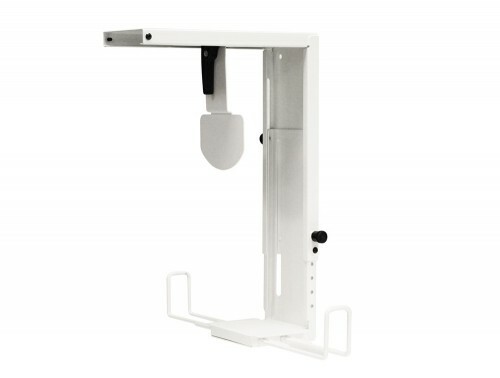 Ensuring that all of your CPUs have under desk holders will help your staff to keep their desks uncluttered, which in turn helps to encourage high productivity levels. 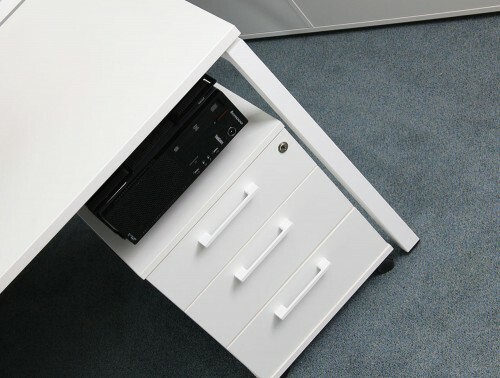 Most desks have modesty panels which means that your CPU Holders will be invisible to any visitors, keeping your office looking neat and tidy at all times. Sometimes referred to as your computer’s ‘brain’, your CPU is an extremely important part to any office in this day and age. With many companies moving all of their data and files to the cloud, CPUs have become more valuable than ever. 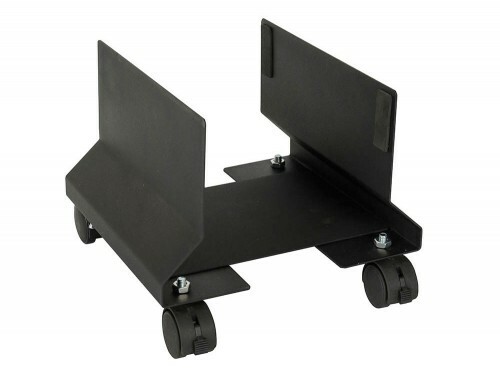 Often quite heavy, you need a CPU holder that can not only handle the weight, but also be able to protect your CPU. 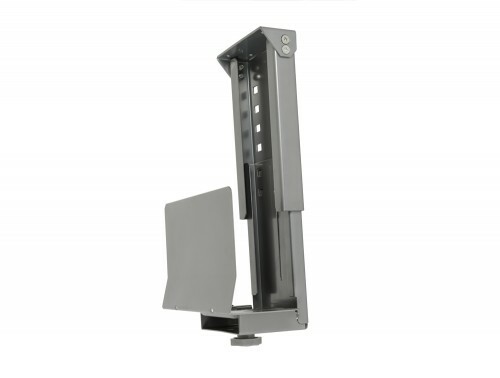 Mostly made from strong aluminium or steel, our CPU holders are durable, efficient and practical. 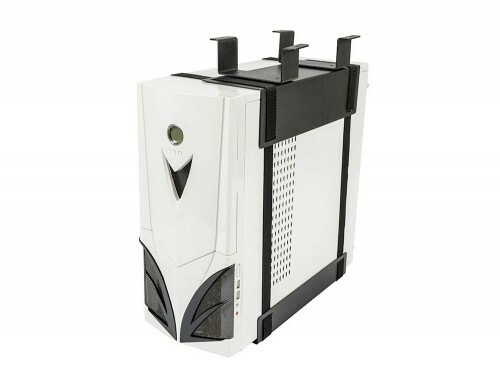 Available in white, black or silver, we have a wide variety of CPU holders that each hold different features. 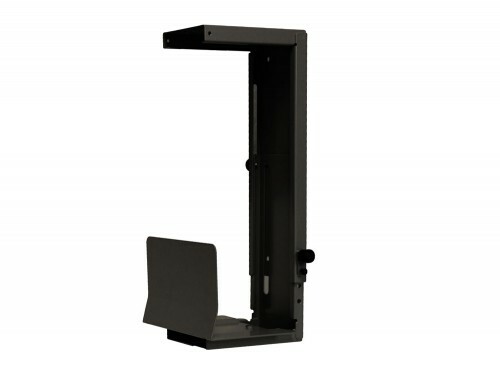 With the rise of popularity in height adjustable desks, we’ve made sure that our under-desk computer mounts can lift with your desk. 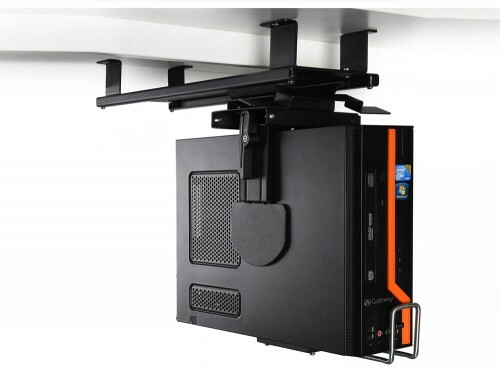 CPU Holders are especially important when using height adjustable desks because without a CPU Holder, the lifting of your desk will pull your cables causing damage and possibly the loss of very important work. It can be extremely tricky to clean those hard-to-reach areas under your desk, especially with messy cables lying on the floor. 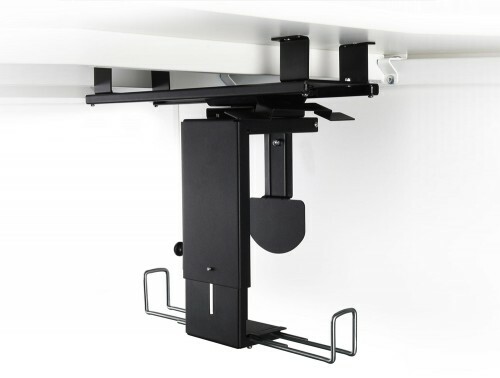 Under desk PC mounts will ensure that your floor space is left clear and clutter free, allowing you to remove gathered dust easily. A CPU Holder is an easy solution to cluttered desk and floor space. It also makes it much easier to clean the floor as it’s dangerous to go near tangled cables and wires. It also reduces the risk that cables could be accidentally pulled out during the cleaning process. 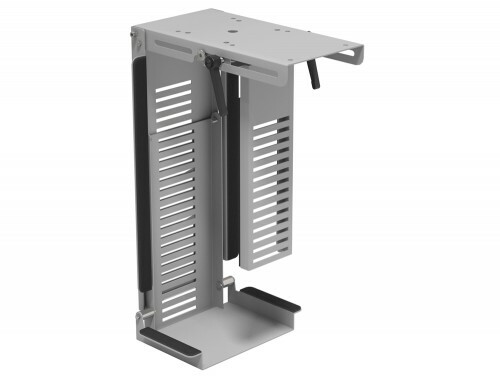 The most popular cable management solutions are Cable Baskets, Cable Spines, Port Holes and CPU Holders. Using a mixture of solutions together will ensure that your office is kept clean, safe and productive. In the long run, good cable management solutions will ensure that your electronics and cables last, saving you both money and time. It’s also extremely dangerous to have loose cables lying around the office as someone could seriously injure themselves. Your employees’ safety should always come first, and with the correct use of cable management solutions, such as computer holders, you’ll never have to worry about loose cables being tripped over. If your cables are installed correctly from the start, there’s less risk of your cables bending and overheating. Important things to consider when choosing the right CPU Holder for you is how large your CPU is and how much it weighs. 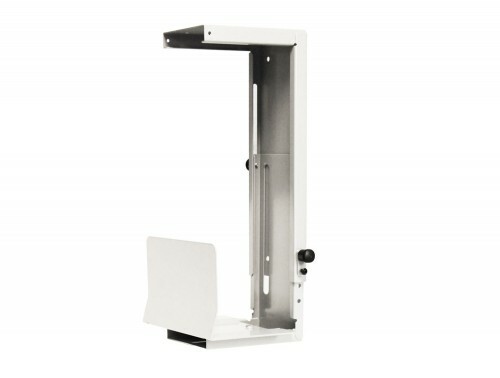 We have large CPU stands and mini ones, suitable for all shapes and sizes. 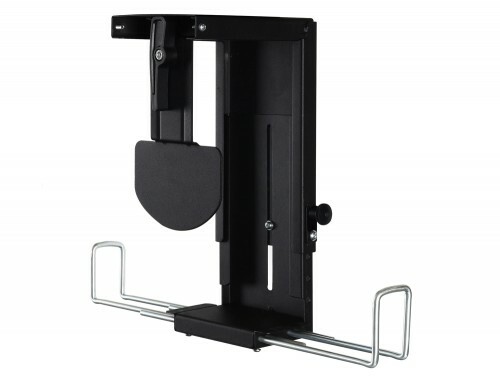 If you need any assistance in finding a CPU Holder that suits all your needs, please contact our sales team today and we would more than happy to help you with your decision. We offer delivery and installation across the UK: in England, Scotland, Wales and Northern Ireland. All major cities in the UK are covered, including: London, Birmingham, Edinburgh, Cardiff, Manchester, Liverpool, Sheffield, Glasgow and Bristol. It doesn’t matter if you’re situated in the rural Lake District or central London, our installation and delivery service is designed to meet your business requirements. 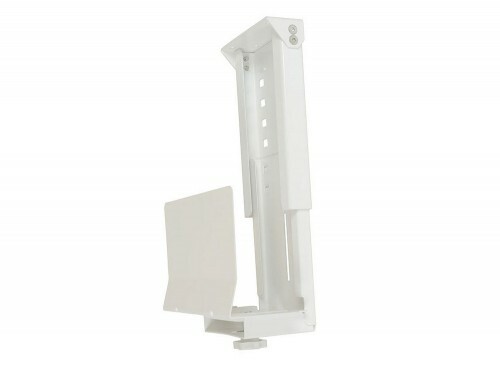 If you’d like to find out more about our range of CPU Holders or discuss your requirements, simply request a callback. Didn't quite see what you're looking for? No problem, the above is only a small sample of what we have to offer - feel free to get in touch and we'll be happy to source whatever item you require. Working on a project? Let us know - we love projects and can help you from design to fruition. © 2019 Radius Office Ltd. REG No: 9916629 | VAT No: 232494512 | All Rights Reserved.